Got Junk? Rent a container and let us help! YOU FILL IT …WE HAUL IT AWAY! We have 12 yard and 5 yard lengths available! CALL TODAY REGARDING ADDITIONAL QUESTIONS OR FEES! How long can the dumpsters be kept? 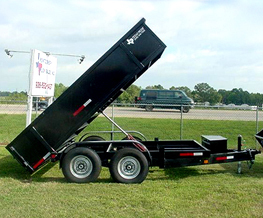 For additional information regarding dump trailer rental, please feel free to contact us!